This 5 000 square foot vacation paradise home has it all! 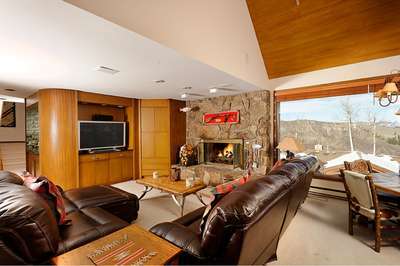 Designer decorated in warm mountain style (2011), two living rooms, three king masters, two bunk rooms, Crestron Media system, hot tub, Nintendo Wii, Foosball and more. 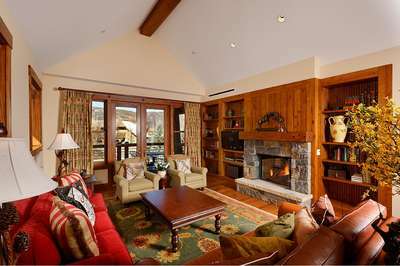 The main chalet level boasts a large living room with views of the surrounding mountains and space for everyone around the stone fireplace which is also equipped with a 65" LED HDTV with a 3.1 sound system. 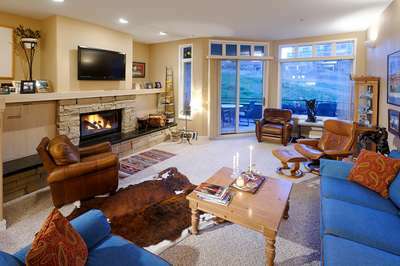 The adjacent Dining room and the state-of-the-art gourmet kitchen with a 32" LED TV, have direct access to private back terrace facing south with patio furniture including dining table and a sofa group, barbecue, hot tub and gas fire pit. The gorgeous master king bedroom is with its own stone fire place is also facing the endless mountains, and has a very large bathroom with a steam shower, Jacuzzi tub and private washer dryer, and it has a little private office as well. The master and the living room also share a spacious balcony. The downstairs living quarters offer a second media room which comes in handy if the kids want relax and watch television on the comfy corner couch, or just play without disturbing the adults upstairs. This area is complete with wet bar, 55" LED TV, full surround 5.1 sound system, Blu ray player, and games including Nintendo Wii and Foosball table. 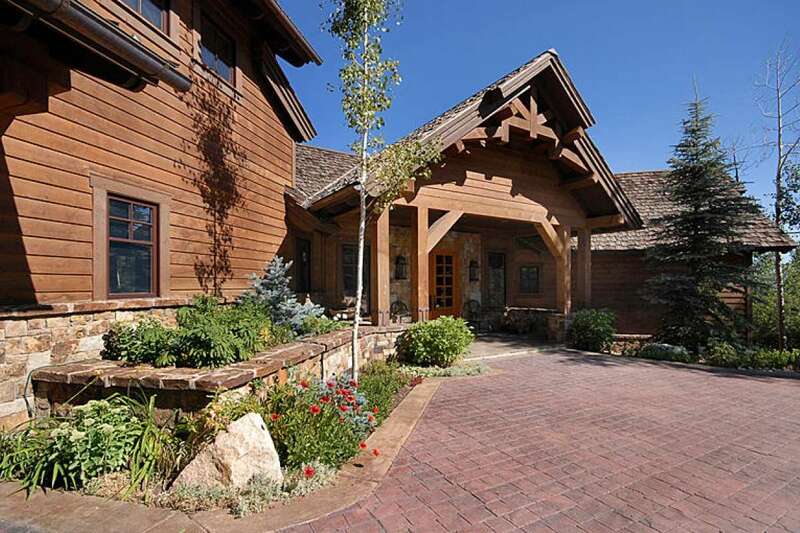 It also offers a second king master bedroom with a stone fire place and a 32" LED TV, and boasts a private back patio and wonderful mountain views. It has a large twin over queen quadruple bunk bed room with and a 32" LED TV, a sofa and coffee table, and the same gorgeous mountain views. The lower level also offers garden access from each room and it has a fully equipped laundry room. The upstairs living quarters feature the third king master vaulted ceilings bedroom and a second quadruple twin over twin bunk room, each with their own en suite bathroom and with 32" LED TV's. 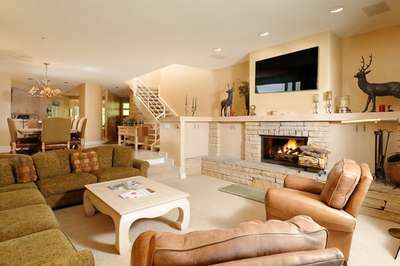 Rental Escapes has parntered with Ski Butlers to offer you the best rental experience in the industry. No more lines. Ski Butlers is a full-service ski and snowboard company that delivers the equipment to you and for a limited time, we are offering a FREE upgrade on the package you select! Ask our agents about this great promotion. Creston home AV system including eight HDTV's and intercom. Living rooms have iPod and auxiliary connectivity. Blu ray players are equipped with Netflix. Mud room with boot and glove dryers. Snow melt driveway and a private bridge.